Abraham MYRA was born in 1849. Parents: John Abraham MYRA and Charlotte Elizabeth SAWLER. Spouse: Matilda Elizabeth HIRTLE. Matilda Elizabeth HIRTLE and Abraham MYRA were married on 20 September 1873 in Indian Path, Lunenburg County, Nova Scotia. Children were: Victoria MYRA. Ada Jane MYRA was born on 26 October 1869. She died on 15 August 1959 at the age of 89. Parents: John Henry MYRA and Mary Louise WOLFE. Spouse: William James CONRAD. Ada Jane MYRA and William James CONRAD were married on 8 November 1888 in Liverpool, Queens County, Nova Scotia. Children were: Mary Ethel CONRAD. Living (private). Parents: Jordan Edward MYRA and Dorothy May TARR. Archibald Haden MYRA was born on 14 July 1895 in Western Shore, Lunenburg County, Nova Scotia. He died on 28 October 1945 at the age of 50 in Halifax, Halifax County, Nova Scotia. He was buried in the Western Shore Community Cemetery. Spouse: Flossie Lillian HILTZ. Flossie Lillian HILTZ and Archibald Haden MYRA were married on 14 June 1916 in Chester, Lunenburg County, Nova Scotia. David Edward MYRA was born on 28 December 1885 in Gold River, Lunenburg County, Nova Scotia. He died on 18 February 1975 at the age of 89 in Gold River, Lunenburg County, Nova Scotia. He was buried in the Western Shore Community Cemetery. Parents: John David MYRA and Adelia Sophia EISENHAUER. Spouse: Lucy Sophia VAUGHAN. Lucy Sophia VAUGHAN and David Edward MYRA were married on 24 December 1907. 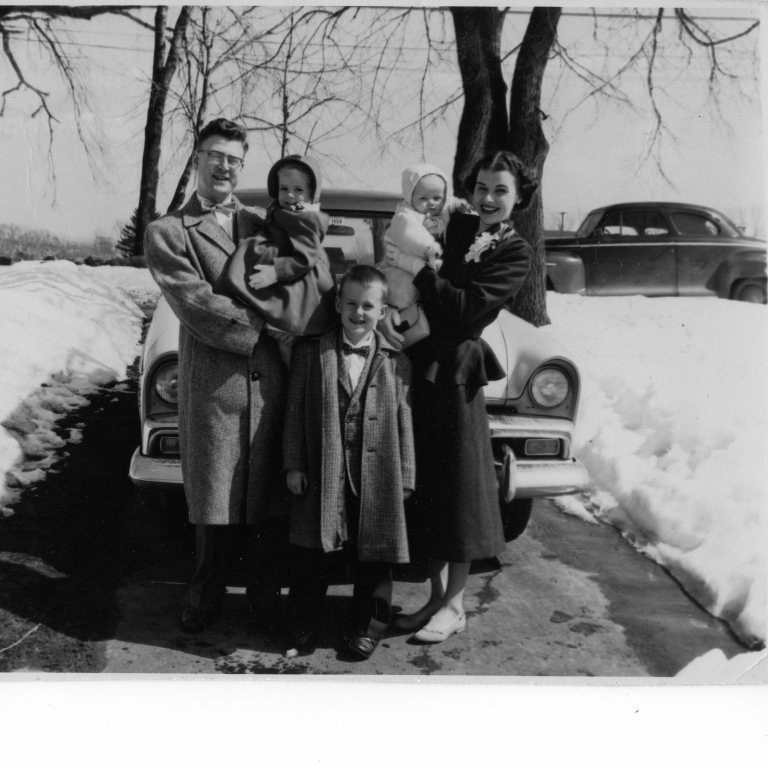 Children were: Eugene William MYRA, Velma Barbara MYRA. David Randall MYRA was born on 13 January 1873 in Moose Harbour, Queens County, Nova Scotia. He died on 10 October 1949 at the age of 76 in Mersey Point, Queens County, Nova Scotia. He was buried in the West Zion United Church Cemetery on Payzant Street in Liverpool. Parents: George Edward MYRA and Louisa Elizabeth GELDERT. Spouse: Clara Eliza Agatha MUNROE. Clara Eliza Agatha MUNROE and David Randall MYRA were married on 13 January 1903 in Black Point, Queens County, Nova Scotia. Children were: Jordan Edward MYRA. Eugene William MYRA was born on 7 November 1915 in Gold River, Lunenburg County, Nova Scotia. He died on 25 November 1999 at the age of 84 in Halifax, Halifax County, Nova Scotia. He was buried in the St. Marks Anglican Cemetery in Western Shore. Parents: David Edward MYRA and Lucy Sophia VAUGHAN. George Edward MYRA was born on 21 August 1835. He died in 1899 at the age of 64. He was buried in the Trinity Anglican Church Cemetery in Liverpool. Parents: Johan George MYRA and Maria Catherine LOHNES. Spouse: Louisa Elizabeth GELDERT. Louisa Elizabeth GELDERT and George Edward MYRA were married on 7 April 1872 in Moose Harbour, Queens County, Nova Scotia. Children were: David Randall MYRA. 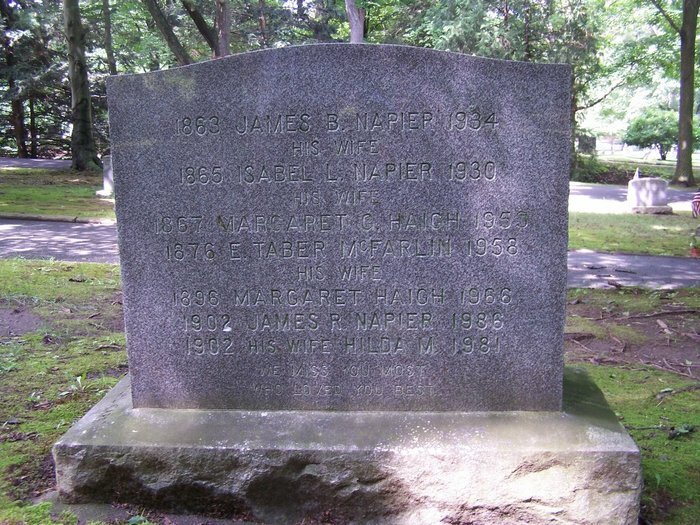 James John MYRA was born on 8 October 1811 in Indian Point, Lunenburg County, Nova Scotia. He died on 28 August 1864 at the age of 52 in Gold River, Lunenburg County, Nova Scotia. Parents: John George MAURER and Anna Elizabeth MOSHER. Spouse: Mary Pauline HILTZ. Mary Pauline HILTZ and James John MYRA were married in 1838. Children were: John David MYRA. Johan George MYRA was born on 16 October 1798 in Lunenburg, Lunenburg County, Nova Scotia. Parents: John George MAURER and Anna Elizabeth MOSHER. Spouse: Maria Catherine LOHNES. Maria Catherine LOHNES and Johan George MYRA were married on 27 May 1823 in Lunenburg, Lunenburg County, Nova Scotia. Children were: John Henry MYRA, George Edward MYRA. John Abraham MYRA was born on 7 November 1815. He died on 8 June 1898 at the age of 82 in Feltzen South, Lunenburg County, Nova Scotia. Parents: John George MAURER and Anna Elizabeth MOSHER. Spouse: Charlotte Elizabeth SAWLER. Charlotte Elizabeth SAWLER and John Abraham MYRA were married. Children were: Abraham MYRA. John David MYRA was born on 7 March 1857 in Gold River, Lunenburg County, Nova Scotia. He died on 4 March 1929 at the age of 71 in Gold River, Lunenburg County, Nova Scotia. Parents: James John MYRA and Mary Pauline HILTZ. Spouse: Adelia Sophia EISENHAUER. Adelia Sophia EISENHAUER and John David MYRA were married on 15 July 1885 in Chester, Lunenburg County, Nova Scotia. Children were: David Edward MYRA. John Henry MYRA was born on 26 September 1832 in Mersey Point, Queens County, Nova Scotia. He died on 5 December 1907 at the age of 75 in Liverpool, Queens County, Nova Scotia. Parents: Johan George MYRA and Maria Catherine LOHNES. Spouse: Mary Louise WOLFE. Mary Louise WOLFE and John Henry MYRA were married on 7 August 1869 in Liverpool, Queens County, Nova Scotia. Children were: Ada Jane MYRA. Jordan Edward MYRA was born on 12 March 1911 in Moose Harbour, Queens County, Nova Scotia. He died on 4 April 2010 at the age of 99 in Liverpool, Queens County, Nova Scotia. He was buried in the Trinity Anglican Church Cemetery in Liverpool. Parents: David Randall MYRA and Clara Eliza Agatha MUNROE. Spouse: Dorothy May TARR. Dorothy May TARR and Jordan Edward MYRA were married on 22 September 1937 in Western Head, Queens County, Nova Scotia. Children were: Living. Maria Eleanora MYRA was born (date unknown). Spouse: Johann Michael BECK. Maria Eleanora MYRA and Johann Michael BECK were married on 10 December 1754 in Lunenburg, Lunenburg County, Nova Scotia. Children were: Maria Magdalena BECK, Jacob (twin) BECK, Johannes Martin (twin) BECK, Johann George BECK, Elizabeth Margaretha BECK. Maria Magdalene MYRA was born on 22 September 1768. She died on 14 April 1805 at the age of 36. Spouse: Johann Heinrich SEILER. Maria Magdalene MYRA and Johann Heinrich SEILER were married on 6 December 1795. Mary Ann MYRA was born on 7 September 1856. Spouse: John Edward EISENHAUER. Mary Ann MYRA and John Edward EISENHAUER were married on 8 April 1877 in Indian Point, Lunenburg County, Nova Scotia. Children were: Robert Seaforth EISNOR. Sarah Agnes MYRA was born (date unknown). Spouse: Randall WOLFE. Sarah Agnes MYRA and Randall WOLFE were married on 5 December 1844. Children were: William John WOLFE. Sarah Salome MYRA was born in 1796. She died in 1883 at the age of 87. Spouse: George Philip ZINCK. Sarah Salome MYRA and George Philip ZINCK were married on 26 November 1818. Children were: Martin ZINCK, Anna Catherine Elizabeth ZINCK, Eliza Jane ZINCK, Lucy Jane ZINCK. Velma Barbara MYRA was born on 8 November 1918. She died on 14 November 1995 at the age of 77 in Gold River, Lunenburg County, Nova Scotia. She was buried in the United Baptist Church Cemetery in Western Shore. Parents: David Edward MYRA and Lucy Sophia VAUGHAN. Spouse: Aldolphus Harford "Tubby" WHYNACHT. Velma Barbara MYRA and Aldolphus Harford "Tubby" WHYNACHT were married on 27 May 1936. Children were: Noble Reigh WHYNACHT, Living, Living, Living, Living. Victoria MYRA was born on 20 December 1873 in First South, Lunenburg County, Nova Scotia. Parents: Abraham MYRA and Matilda Elizabeth HIRTLE. Spouse: Thomas Archilald BACHMAN. Victoria MYRA and Thomas Archilald BACHMAN were married on 26 September 1895 in Halifax, Halifax County, Nova Scotia. Anna Catherine NAAS was born on 12 January 1766. She died prior to 1808. Parents: Johann Christoph NAHS and Elizabeth Veronica WESTHOFFER. Spouse: Johann Jacob HIRTLE. Anna Catherine NAAS and Johann Jacob HIRTLE were married on 17 June 1783. Children were: Johan Jacob HIRTLE, Johan Michael HIRTLE, Johan Christopher HIRTLE, Johan Peter HIRTLE, Johan George HIRTLE, Johan Conrad HIRTLE, Anne Catherine HIRTLE, Anna Maria HIRTLE, Anna Dorothea HIRTLE, Johan Jacob HIRTLE, Catherine Sophia HIRTLE. Anna Maria Barbara NAAS was born in 1746 in Pfalz, Germany. She died on 21 July 1805 at the age of 59 in Lunenburg, Lunenburg County, Nova Scotia. Spouse: Johannes MEISNER. Anna Maria Barbara NAAS and Johannes MEISNER were married on 25 October 1763. Children were: Johann Conrad MEISNER, Theodore MEISNER, Johan Casper MEISNER, Anna Elizabeth MEISNER, Johan Heinrich (twin) MEISNER, Frederick Francis (twin) MEISNER. Jacob George James NAAS was born on 25 August 1812. He died on 6 March 1888 at the age of 75. Parents: Johan Conrad NAAS and Anna Christina BRUHM. Spouse: Maria Anna Elizabeth BECK. Maria Anna Elizabeth BECK and Jacob George James NAAS were married on 6 April 1837. Johan Conrad NAAS was born on 27 May 1763. He died on 20 July 1846 at the age of 83 in Conquerall Bank, Lunenburg County, Nova Scotia. Parents: Johann Christoph NAHS and Elizabeth Veronica WESTHOFFER. Spouse: Anna Christina BRUHM. Anna Christina BRUHM and Johan Conrad NAAS were married on 20 April 1800 in Lunenburg, Lunenburg County, Nova Scotia. Children were: Johan Christopher NASS, Johan Conrad NAUSS, Jacob George James NAAS, John Jacob NAUSS, Catherine Elizabeth NAUSS. Johan Matthias NAAS was born on 16 December 1772 in Lunenburg, Lunenburg County, Nova Scotia. He died on 13 June 1843 at the age of 70 in Lunenburg, Lunenburg County, Nova Scotia. Parents: Johann Christoph NAHS and Elizabeth Veronica WESTHOFFER. Spouse: Maria Elizabeth RIGOULEAU. Maria Elizabeth RIGOULEAU and Johan Matthias NAAS were married on 18 March 1802 in Lunenburg, Lunenburg County, Nova Scotia. Children were: Johan Nicholas NAUSS. Joseph NAAS was born on 16 February 1807 in Chester, Lunenburg County, Nova Scotia. He died on 28 July 1869 at the age of 62. He was buried in the St. Stephens Anglican Church Cemetery in Chester. Parents: Johann Wendell NAUSS and Maria Dorothea DEUTHOF. Spouse: Sarah Elizabeth DAUPHINEE. Sarah Elizabeth DAUPHINEE and Joseph NAAS were married on 10 May 1835. Children were: James Joseph NAUSS. Spouse: Catherine Barbara CORKUM. Catherine Barbara CORKUM and Joseph NAAS were married on 14 January 1844 in Chester, Lunenburg County, Nova Scotia. Maria Magdalena NAAS was born on 31 October 1774 in Lunenburg, Lunenburg County, Nova Scotia. She died in 1870 at the age of 96. Parents: George Christian NEUHAS and Anna Barbara SCHLOER. Spouse: John Christopher JOUDREY. Maria Magdalena NAAS and John Christopher JOUDREY were married on 20 March 1798 in Lunenburg, Lunenburg County, Nova Scotia. Children were: Mary Dorothy JOUDREY, Maria Sarah JOUDREY, John Nicholas JOUDREY, Maria Magdalene JOUDREY, Johanna Catherine JOUDREY, Abraham Casper (twin) JOUDREY, Clara Ann JOUDREY. Nicholas NAGLE was born in 1691 in Germany. He died on 18 July 1771 at the age of 80 in Philadelphia, Pennsylvalia. Spouse: Anna URSULA. Anna URSULA and Nicholas NAGLE were married. Children were: Nicholas NAGLE. Nicholas NAGLE was born in 1730. He died on 19 December 1762 at the age of 32. Parents: Nicholas NAGLE and Anna URSULA. Spouse: Catherine Elizabeth SIEBENPHIFERIN. Catherine Elizabeth SIEBENPHIFERIN and Nicholas NAGLE were married on 12 February 1750. Children were: Mary NAUGLER, Richard NAUGLER, Johan Nicholas NAUGLER, Johan Heinrich NAUGLER. Johann Christoph NAHS was born on 9 August 1728 in Bad Durkheim , Pfalz, Bayern, Germany. He died on 24 June 1802 at the age of 73 in Lunenburg, Lunenburg County, Nova Scotia. Parents: Johann Fridrich NAHS and UNKNOWN. Spouse: Elizabeth Veronica WESTHOFFER. Elizabeth Veronica WESTHOFFER and Johann Christoph NAHS were married on 30 October 1753 in Lunenburg, Lunenburg County, Nova Scotia. Children were: Johann Wendell NAUSS, Johan Conrad NAAS, Anna Catherine NAAS, Johan Matthias NAAS. Johann Fridrich NAHS was born in 1706 in Germany. Spouse: UNKNOWN. UNKNOWN and Johann Fridrich NAHS were married. Children were: Johann Christoph NAHS. Elizabeth NAPIER was born on 5 November 1925 in Lawrence, Essex County, Massachusetts. She died on 10 August 1997 at the age of 71 in Sterling, Loudoun County, Virginia. Parents: James Ruxton NAPIER and Hilda Mae MCKINNON. Spouse: Kenneth Clyde BUSHWAY. Elizabeth NAPIER and Kenneth Clyde BUSHWAY were married. James Ruxton NAPIER was born on 21 November 1902. He died on 9 July 1986 at the age of 83 in Andover, Essex County, Massachusetts. Spouse: Hilda Mae MCKINNON. Hilda Mae MCKINNON and James Ruxton NAPIER were married. Children were: Elizabeth NAPIER. Francis Ford NASH was born in 1882 in Bedford, England. Spouse: Floretta WENTZELL. Floretta WENTZELL and Francis Ford NASH were married on 20 September 1910 in Indian Point, Lunenburg County, Nova Scotia. Johan Christopher NASS was born on 31 January 1801 in Lunenburg, Lunenburg County, Nova Scotia. He died on 13 November 1870 at the age of 69. He was buried in the Acacia Cemetery in Conquerall Bank. Parents: Johan Conrad NAAS and Anna Christina BRUHM. Spouse: Catherine Elizabeth LANGILLE. Catherine Elizabeth LANGILLE and Johan Christopher NASS were married on 29 April 1827. Children were: Lewis NAUSS, Elias NAUSS, Catherine Elizabeth NAUSS, Stephen Conrad NAUSS. Nicholas Elias NASS was born on 30 June 1852. He died on 9 January 1912 at the age of 59 in Walden, Lunenburg County, Nova Scotia. He was buried in the Walden Community Cemetery. Parents: John Jacob NAUSS and Anne SPINDLER. Spouse: Lucinda VEINOT. Lucinda VEINOT and Nicholas Elias NASS were married on 5 April 1870 in Mahone Bay, Lunenburg County, Nova Scotia. Children were: Hibbert Stanley NAUSS. Spouse: Sarah Elizabeth JOUDREY. Sarah Elizabeth JOUDREY and Nicholas Elias NASS were married on 25 April 1891. Children were: Idella NAUSS, Beatrice NAUSS, Elva Adelaide NAUSS. Elizabeth NAU was born on 12 November 1791. Parents: Theodore NAU and Maria Barbara EICHERT. Spouse: Johann Frederick NAUGLER. Elizabeth NAU and Johann Frederick NAUGLER were married on 18 October 1827. Johan Conrad NAU was born on 11 November 1776. Parents: Theodore NAU and Maria Barbara EICHERT. Spouse: Mary Magdalene WOLFE. Mary Magdalene WOLFE and Johan Conrad NAU were married on 13 October 1801. Children were: John Conrad NOWE. Spouse: Mary Magdalene KAULBACH. Mary Magdalene KAULBACH and Johan Conrad NAU were married on 26 January 1808. Children were: Maria Barbara NOWE, John Peter NOWE, John NOWE, Katherine NOWE, John George NOWE, John Jacob NOWE, John Henry NOWE. Theodore NAU was born in 1750. He died on 15 March 1824 at the age of 74. Spouse: Maria Barbara FEINDEL. Maria Barbara FEINDEL and Theodore NAU were married on 27 September 1768. Spouse: Maria Barbara EICHERT. Maria Barbara EICHERT and Theodore NAU were married on 13 November 1770. Children were: Johan Conrad NAU, Elizabeth NAU. NAUGLER died young. He was buried in the Christ Evangelical Lutheran Cemetery in Camperdown. Parents: Uriah NAUGLER and Sarah Ada HEBB. Adelia Ann NAUGLER was born on 28 May 1867 in Conquerall Mills, Lunenburg County, Nova Scotia. She died on 1 December 1955 at the age of 88 in Conquerall Mills, Lunenburg County, Nova Scotia. She was buried in the St. Matthew's Presbyterian Cemetery in Conquerall Mills. Parents: John Reuben NAUGLER and Lucy Victoria RAFUSE. Spouse: William Eli BOLIVAR. Adelia Ann NAUGLER and William Eli BOLIVAR were married on 4 September 1893 in Mill Village, Queens County, Nova Scotia. Agnes Martha NAUGLER was born on 5 June 1880 in Middlewood, Lunenburg County, Nova Scotia. She died in 1966 at the age of 86. She was buried in the Middlewood United Cemetery in Middlewood. Parents: Samuel James Adolpheus NAUGLER and Abigail SNYDER. Spouse: David Samuel LLEWELLYN. Agnes Martha NAUGLER and David Samuel LLEWELLYN were married on 6 May 1905 in Mill Village, Queens County, Nova Scotia. Children were: Mabel Victoria LLEWELLYN. Alice Catherine NAUGLER was born on 10 November 1856 in Western Head, Queens County, Nova Scotia. She died on 29 June 1913 at the age of 56 in Western Head, Queens County, Nova Scotia. She was buried in the Grace Anglican Church Cemetery in Western Head. Alice was ill with tuberculosis. Parents: John Jacob James NAUGLER and Mary Elizabeth FRELICK. Spouse: Zenas Josiah CROFT. Alice Catherine NAUGLER and Zenas Josiah CROFT were married on 23 January 1881. Children were: Minnie Edith CROFT, Anne Elizabeth CROFT, James Thomas Nelson CROFT, Edna Latitia CROFT, Lavinia Estella CROFT, Zenas Clayton CROFT, William Henry CROFT, Lillian Victoria CROFT. Alice Mary NAUGLER was born in 1834 in Conquerall Bank, Lunenburg County, Nova Scotia. She died on 20 July 1892 at the age of 58. She was buried in the Dayspring Community Cemetery. Parents: Samuel James Frederick NAUGLER and Elizabeth WAGNER. Spouse: Daniel RAFUSE. Alice Mary NAUGLER and Daniel RAFUSE were married. Allan Dean NAUGLER was born on 5 February 1870. He died on 3 September 1961 at the age of 91 in Moser River, Halifax County, Nova Scotia. Parents: John Reuben NAUGLER and Lucy Victoria RAFUSE. Spouse: Margaret Matilda WOODIN. Margaret Matilda WOODIN and Allan Dean NAUGLER were married on 4 September 1895 in Moser River, Halifax County, Nova Scotia. Amelia NAUGLER was born on 7 June 1825 in La Have, Lunenburg County, Nova Scotia. She died on 12 October 1899 at the age of 74. She was buried in the St. Matthews Cemetery in Rhodes Corner. Parents: Johan Leonard NAUGLER and Catherine Barbara HIRTLE. Spouse: James Henry MULLOCK. Amelia NAUGLER and James Henry MULLOCK were married on 20 July 1856.